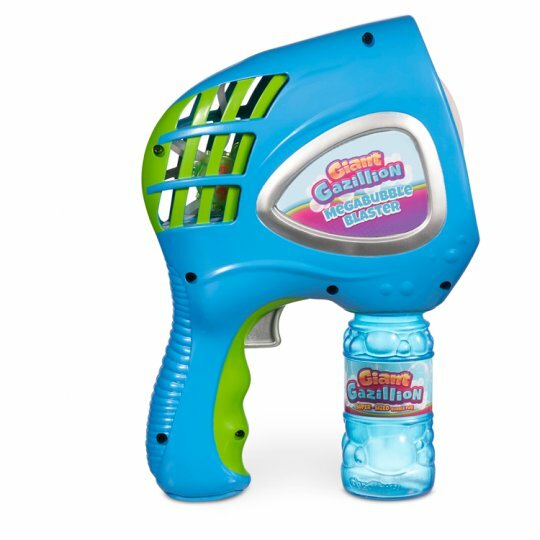 Create giant bubbles at the push of a button with the all-new Gazillion Giant Megabubble Blaster! This mega blaster and bubble solution produce bigger bubbles than ever before. Simply screw in the bottle of Giant solution included and you're ready to blast!. 3 AA batteries required, not included.